Look out on the horizon, on the right hand side of the image, and you'll see Desecheo Island, a U.S. National Wildlife Refuge. The island was "discovered" by Christopher Columbus during his second voyage of 1499-1494. 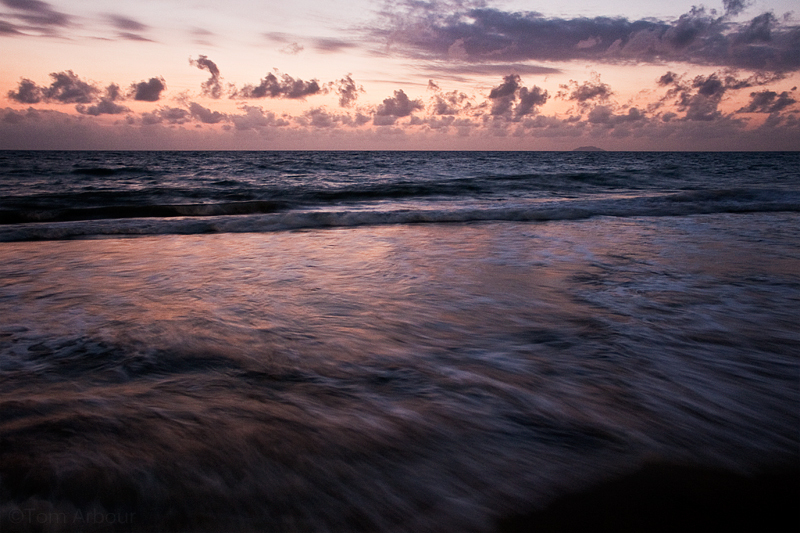 I took this image from the shores of Rincon, Puerto Rico. Let's go there the next time we are in P.R. Sound good? Thanks Megan, that sounds great to me, the diving and snorkeling around the island is rumored to be some of the best in the Caribbean. Amazing photos and amazing blog too! Like a dream, wonderful evening light. Gorgeous! I found your blog thru blogcatalog and I really like you work.